The Piazza Site (23FR300) was tested by the Missoui Department of Transportation along Route O in Franklin County to determine if the site needed mitigation. 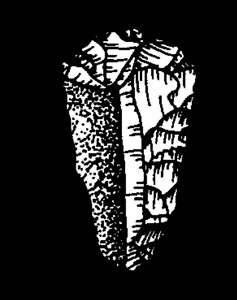 A Clovis point was discovered in one of the shovel tests conducted on the site. 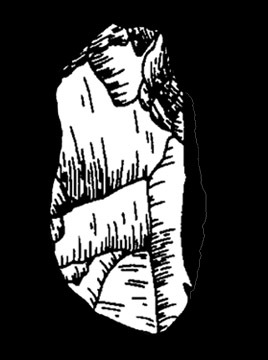 The Clovis point measures 47.4 cm in length, 18.4 cm in width, and 6.9 mm in thickness. It weighs 6.0 grams. The point was manufactured from Very Pale Brown (10YR7/3) chert with Yellowish Brown (10YR5/6) mottling. 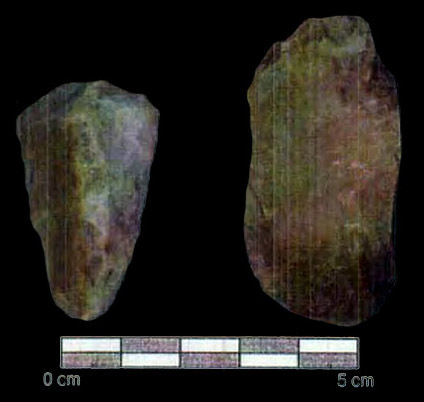 Phase I and II research at the site yielded 159 artifacts weighing 476.7 grams. Chert debitage (the waste products of tool manufacture) included 154 specimens with a weight of 321.8 grams; the majority of the debitage consists of shatter (141 pieces weighing 311.6 grams). Fieldwork at the site yielded 1 chert core, 1 biface (131-1), 1 fluted point (Artifact No. 1-1), 1 scraper (135-1), and 1 piece of utilized hematite (135-2). Color photographs and line drawings scanned of the scraper and biface tool from the Missouri Department of Transportation report on the Piazza Site. 1996 Phase I and II cultural resource investigations of the proposed Route O relocation in Franklin and Jefferson Counties, Missouri. Missouri Department of Transportation Job No. J6S0429. Many thanks to John Eastman (Missouri Department of Transportation) for providing assistance in the study of the fluted point from the Piazza Site and for providing access to the CRM report on the site. Warm thanks to Neathery Fuller for taking the best digital images and videotaping the research with the collection. Many smiles to Ettus Hiatt for her help with text and content editing.